Your data will only be used to send information directly related with #WPLDN. We will never sell, rent of otherwise abuse your personal data. At the WordPress London Meetup on 26th April 2018 Ana Silva talks about her role as the lead organiser for WordCamp London 2018 & John Blackbourn introduces the WP-CLI and gives some example use cases. 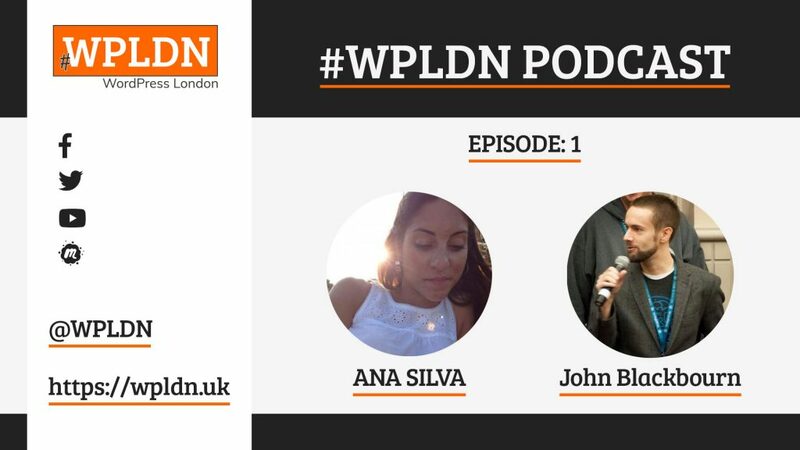 In this, the first episode of the #WPLDN Podcast, meet the team and find more about what’s to come. Ana is a Communications Manager at Human Made where she works on marketing, brand management, publicity and events. Born in Lisbon, raised in London and often found in coffee shop corners reading old poetry books. John is one of the core developers of WordPress, and he’s been building on and working with the platform for over twelve years. He’s a member of the WordPress security team, and was the release lead for WordPress 4.1. John enjoys sharing his knowledge with others at WordCamps, meetups, and other tech events. Do you have a talk you'd like to share with the WordPress London community? Talks can cover a wide range of topics. Offering stylish related posts for WordPress. The power to simplify - Build, secure and run your apps and websites. SiteGround provides WordPress hosting that does not miss a thing! Weglot provides a reliable and easy way of managing translations. Digital experiences built for growth. Press ahead. The digital identity platform, let users log into WordPress with their biometrics.